The World's Top Tribute Band Talent Agency. 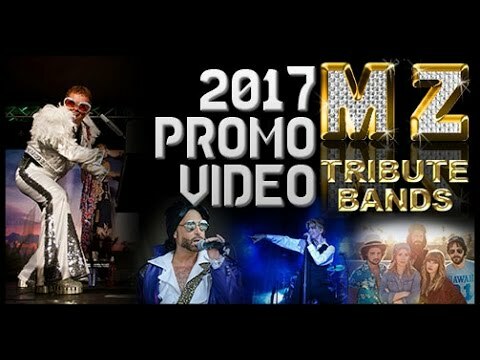 Music Zirconia Inc is the largest specialty talent provider in the United States focusing solely on tribute entertainment. Music Zirconia is truly the home of the world's finest tribute bands and performers. Our world-class tribute acts, specialty acts and cover bands are available for corporate events, weddings, reunions, holiday parties, casino or concert venues, and touring. Those booking an engagement with a M.Z. Tribute Band can be assured of world class professionalism. Our Featured Acts are available for both national and international events. Whether in Southern California, New York City, Dallas or Sydney our top shelf tribute acts will not only amaze your audience, they are also extremely cost effective. Over 1,000 Live Bands Availble for 2017!!! - Music Zirconia makes LA Weekly!